The community hub is a place where adults with learning disabilities can meet together to make friends, develop their skills, gain confidence and feel involved in their local community. getting out and about in the community and further afield. All activities are chosen by the group. Our fully trained, friendly, experienced team work with individuals on specific areas of their support plan, for example; independent travel, money and budgets, healthy eating and many more everyday tasks that are essential in working towards and maintaining an independent lifestyle. Attendees are encouraged to socialise and support each other and many continue their friendships when they are away from the Hub. These take place on Monday, Tuesday, Thursday and Friday. These groups focus on getting out and about, for example, to local towns and villages, parks, farms and other amenities. Hub members enjoy regular events which might include celebration parties, barbecues, Christmas lunch and other fundraising events. These take place at the Hub on Monday, Wednesday and Thursday. What’s good about the hub? Where is the Hub and when can I attend? 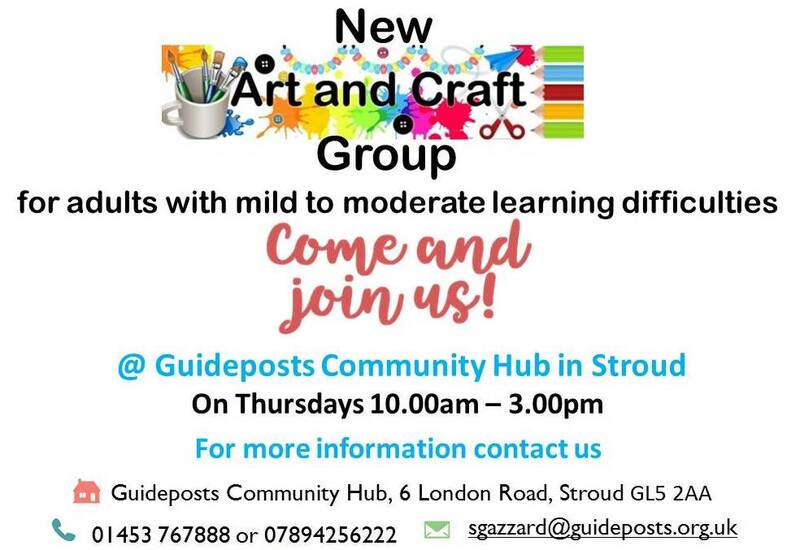 The Community Hub is located at 6 London Road, Stroud, GL5 2AA and is open Monday to Friday 9am to 4pm. How can I find out more or get in touch?